More than a year ago I announced that my department would be drafting and lodging a new proposal for a land development charge called a Jersey Infrastructure Levy. Since then, and following the public launch of proposals, there’s been a lot of talk about the levy, so I’d like to explain why I want to introduce it. I think it’s only fair that if you make a significant profit out of getting permission to develop a piece of land, then you should make a small contribution to the community facilities people in the area need. The proposed small and broad-based charge aims to be a fair way of ensuring that land owners and developers who benefit from the increase in land value that comes from development permission, make a contribution to the impact of that development on the local community. Let’s be clear, when the States use public money to invest in an area, its value rises. It becomes more desirable to live in an area with newly renovated pavements, decent play areas, safer roads, or with a nice public park nearby. Should a developer building in this area, bringing more people into the area, also make a small contribution to the community infrastructure? I think they should. Let’s look at this more closely. If you buy the plot of a three-bedroom bungalow and get permission to develop it into four two-bedroom apartments, you’ll make a lot more money. But there’s an impact on that area. Those three additional households bring extra cars, they’ll need water for their showers, public space for their children and dogs, and perhaps new, safer routes to school or work. I want to turn that around, so that instead of one person benefiting when land is given development permission, the whole Island community benefits and Jersey can put some of the profit from land development towards new and improved streets, safe play spaces, tree planting and community gardens, more bus shelters, new footpaths and cycle routes, or improvements to make local areas more resilient to climate change. I’d like to emphasise that people won’t pay the Jersey Infrastructure Levy unless they build a new residential unit, or develop land over 75 square metres – roughly the size of a two-bedroom apartment. Even then, it won’t apply to charities or affordable homes or to a change of use for existing floor space. 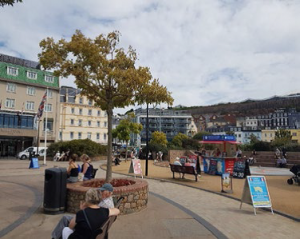 The charge won’t stop land owners or developers making a profit and it won’t make homes for people in Jersey more expensive as the levy will come from taking only a small fraction of the increase in land value that results from getting planning permission. But by applying the levy equally to developments across the Island it will add up to a reasonable sum to directly contribute to providing and improving essential community infrastructure in neighbourhoods throughout Jersey. 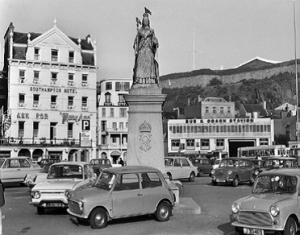 This is particularly the case in St Helier, where development pressure is most focused and where we have made a commitment with the Future St Helier initiative to creating a vibrant, compact and characterful town with a high quality of life for its residents and visitors. We launched a consultation on the Jersey Infrastructure Levy recently, asking for people’s views. You can also contribute or vote for an idea on what improvements you’d like to see in your neighbourhood. I’ll look at your feedback and take it into account before I put a further draft proposal to the States in the autumn.